Violating people privacy with CCTV cameras can be against the law. Please check your Country regulation carefully before using our cameras. DSE range hidden cameras are professionally concealed inside objects which are common in any environment. These cameras are ideal for hidden surveillance systems. These models do not include IR illuminators. Please click here for Night-View hidden cameras. AHD technology is the latest development in the analog CCTV industry and is supported by almost all models in this range. Launched in May 2014 by Nextchip, worldwide leader in DSP for CCTV cameras, AHD technology brings analog cameras up to HD720P (1280x720) and FULL HD 1080P (1920x1080) video resolution. Before AHD, megapixel resolution was only possible using digital cameras. Connected to latest generation AHD DVR, these cameras provide megapixel resolution, with no latency, still being low cost and easy to install as standard analog cameras. Our range of AHD cameras includes 1 megapixel (720P) and 2 megapixels (1080P) cameras. One of the most critical factors which is making the difference among the cameras is the image sensor. CCD sensors have been for years the primary choice for CCTV cameras in consequence of their superior pixel sensitivity. In recent times, CMOS technology took over, being more suitable to high megapixel resolution. DSE chose 1.4 and 2.4 MP SONY EXMOR CMOS sensors for all AHD cameras. Sony Exmor is the most expansive sensor on the market but provides superior performance especially in critical light conditions. The price of a CCTV camera with Sony Exmor sensor could be even twice the price of a similar camera with lower profile sensor. Keep this in mind while comparing this range with cheaper alternative solutions. 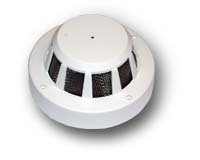 These cameras are hidden in false smoke and burglar detectors. 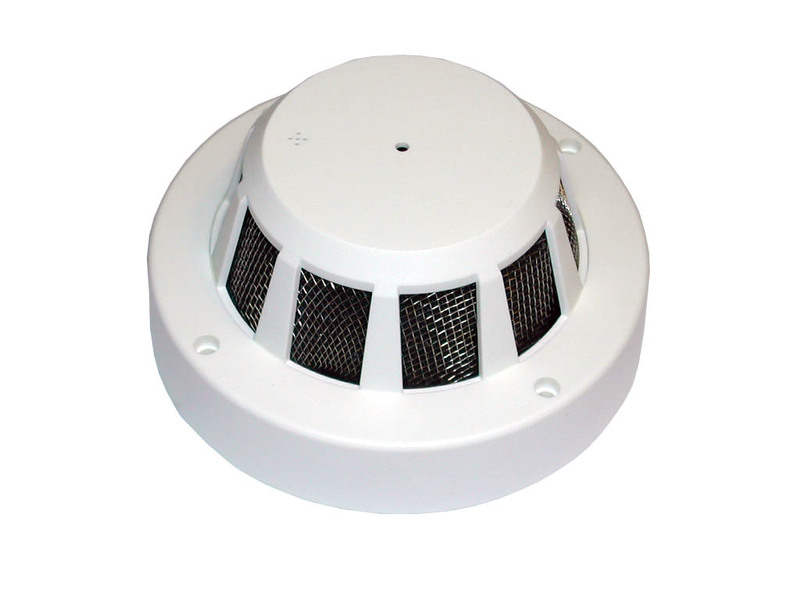 In smoke detectors the cameras films diagonally in a downward direction through one of the slits on the device. This cameras is therefore best installed at one corner of the ceiling. 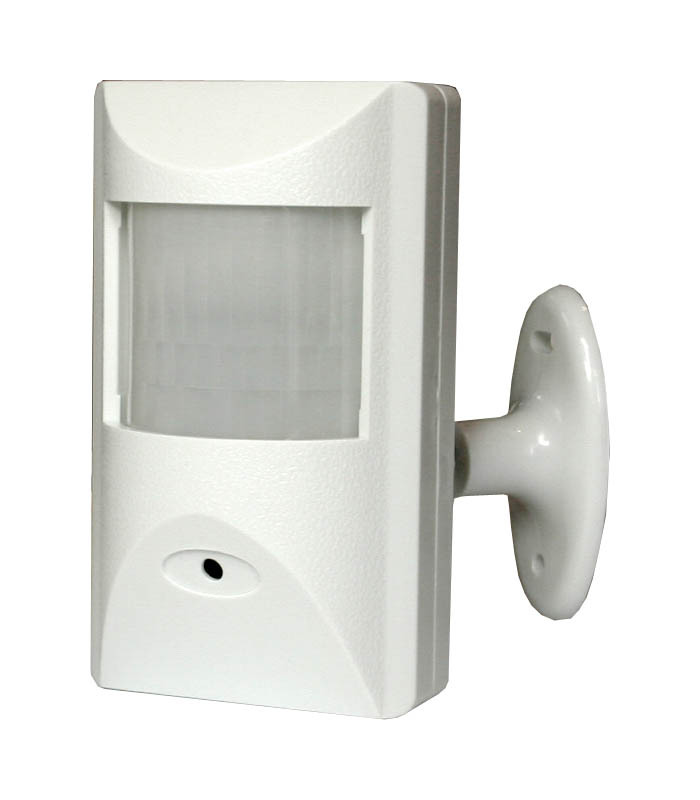 In burglar detectors the camera films through a tiny hole on the front of the cover and can be easily oriented using the convenient swivel mounting bracket. All these cameras come with a special type of lens for concealed use called "pin-hole lens. This type of lens is able to film through a 1 mm hole, and is therefore perfect to make cameras which are completely invisible even on close inspection. Cameras are supplied with 3.6 mm pin-hole lens, which offers a wide-angle view able to fully cover a small-medium area. Several models in this range come with a built-in microphone for audio. A few models do not include audio. Please choose an external microphone if needed. These cameras can see in the dark as far as your own eyes. They do not include IR illuminator. 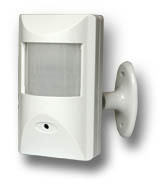 Please click here for our night-view IR hidden cameras. l models in this range come with a built-in microphone for audio. A few models do not include audio. Please choose an external microphone if needed. The top of the range cameras (RE-xxxxEU/HDU/FDU) come with On-Screen-Display (OSD) which allow the user to set several camera options. IR THRESHOLD - IR threshold and Day and Night switching can be adjusted. A mini joystick remote control, conveniently placed along the camera cable, allows scrolling the On Screen Display (OSD) and set all the advanced features of the camera. This control is also used to switch between CVBS and AHD mode. The OSD button on the camera becomes very often hard to use once the camera is installed. In analog mode, these cameras can be connected by wires to any monitor, TV or video-recorder. A 50 cm. cable with DC Plug, BNC female video connector and RCA audio female connector (if available), comes out from the back side of the camera. An appropriate 220VAC/12VDC power adaptor, like RE-AL4S, can be connected to the DC plug to power up the camera. Min 1000mA, fully regulated, power adaptor is required. Should you prefer to provide the power from a central point you can order a power supply unit in metal casing. Video signal must be hard-wired to TV/Monitor/DVR using RG59 or RG179 coaxial cable (see cables). Coaxial cable must be terminated with RE-BNCCR1, crimp type, connectors. Alternatively, the video signal can also be wired using a twisted pair installing on both ends of the cable the appropriate balun converters. AHD cameras connects exactly as all other analog cameras, but provide HD resolution only with AHD DVR. AHD 720P models work with all our AHD DVR while AHD 1080P cameras require 1080P AHD DVR. 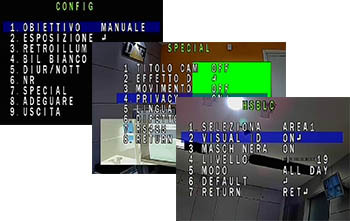 All AHD cameras can be switched to CVBS (standard analog video) if required. All these cameras can be converted into wireless cameras using an external transmitter.